I used to get them at a bakery in Estonia and loved that they were called elephant ears. They are so easy too. YOur palmiers look great. I bet they were delicious. YUM! They look so yummy! Love your new header too. You make the palmiers sound so easy, I'm going to give it a try! Thought some of your readers might like to know something more about French cookies - all the store bought kind I'm afraid. But really, store bought cookies are pretty good in France. Your food looks great! Isn't using the frozen puff pastry great? And I just love palmiers. The sweet as well as savory. 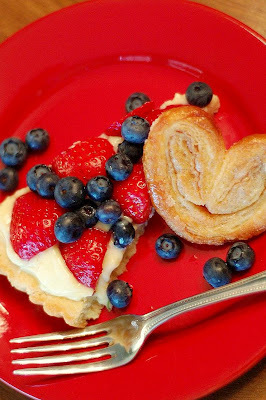 I love palmiers- yours look perfect! Wow, look at you Ann- I need to check your blog more for yummy ideas!! So glad you left a comment, I too saw your blog on Caralees and I have stopped by a few times to check up on you two. Congrats on the new little one! Your getting on my blog list now, so you better stay in touch!! Good luck on everything, cant wait to see pictures of your baby when the times comes cause your little boy is too cute!! I love these so much that I just can't make them and have them around. yum! 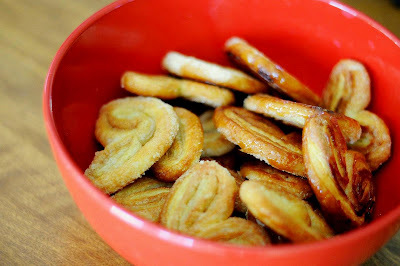 I love these palmiers! They look delicious! I am pretty sure I would weigh 500 pounds if I lived in your house - your whole blog just looks so DELICIOUS! I am super jealous of your culinary skills! Yum!